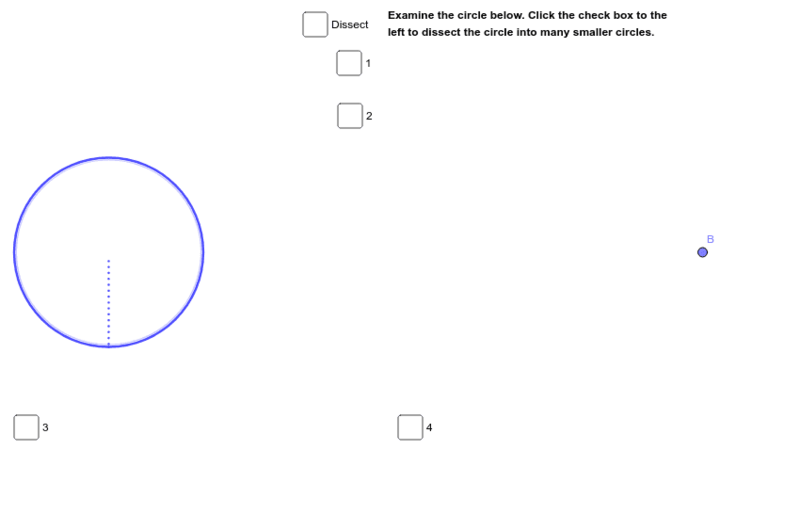 Use the applet below to discover where the formula for the area of a circle (A=πr^2) comes from. Follow the directions in numerical order by clicking on the corresponding check boxes. What do you think? How does this change your understanding of the formula we know for finding the area of a circle?